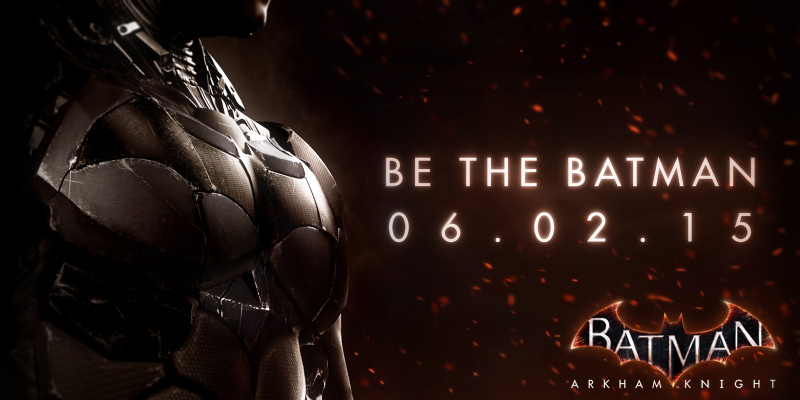 Well, it looks like we won’t have to wait too long after all… Arkham Knight will be released on June 2, 2015! After a much-lamented delay that pushed the game back from October 2014 indefinitely into 2015, fans can reset their countdown clocks and get pumped for Knight‘s June release. 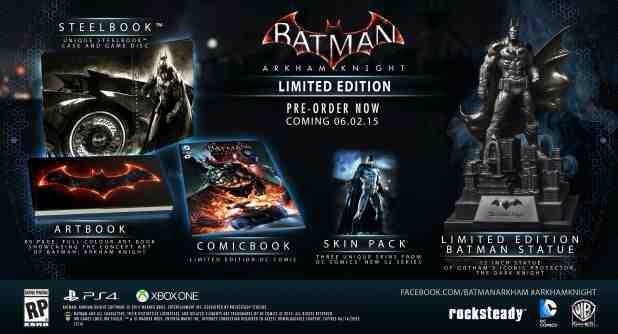 It might also be wise for us Arkham fans to start filling our banks as well, since two separate collector’s editions have been announced for the game. 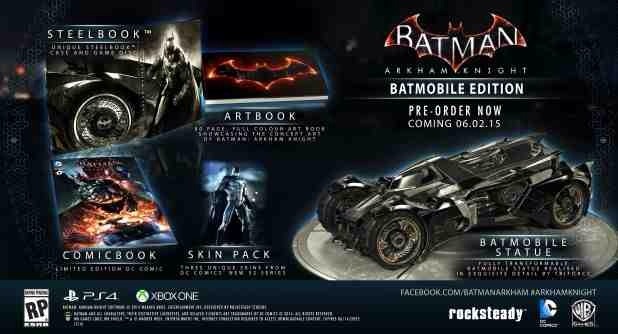 One, the Batmobile Edition, comes with a fully transformable statue of the Batmobile we’ll get to drive in the game, while the other, the Limited Edition, features a 12-inch “Batman of Gotham” statue. Both include an art book, skin pack (with 3 different in-game skins), comic book, and the game itself in a steelbook case. ← 13 Lego Batman 3 Character Images Give a Look At Bat-Cow, Krypto, Adam West, and More!